We’ve been promised some Uncharted single player DLC since the last game released in 2016 – it was hinted at but never made an appearance. 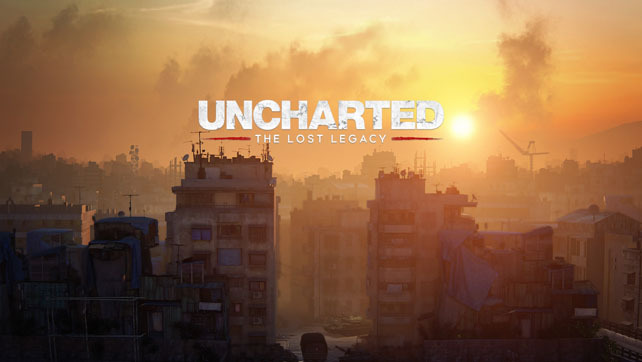 Then Naughty Dog announced that it was still coming, but had become so big they decided to let it out on its own and produce a short adventure in the form of The Lost Legacy. Taking some of the major characters from the series and ditching them completely in favour of two (albeit very good) sidekicks was a bit of a risk with the fan base, so has it paid off? Following up on the immense end to the Nathan Drake adventures we saw with Uncharted 4, Naughty Dog have set themselves a tough target. The easy going action adventure series hinges on not just the lush visuals and cinematic action, but heavily on the banter and interplay between the main characters. Switching out Drake and Sully for Chloe and Nadine is a bold move and one that pays off beautifully with Claudia Black and Laura Bailey both turning in stellar performances. The wit and charm is there in abundance, driven by the top notch writing and direction, and it’s layered with personal stories for both of them that draws you in without being too heavy handed. Everything the developer has learned and honed over the 5 main Uncharted adventures is on display here, and it shows with how comfortable it is slipping into Chloe’s rugged boots. 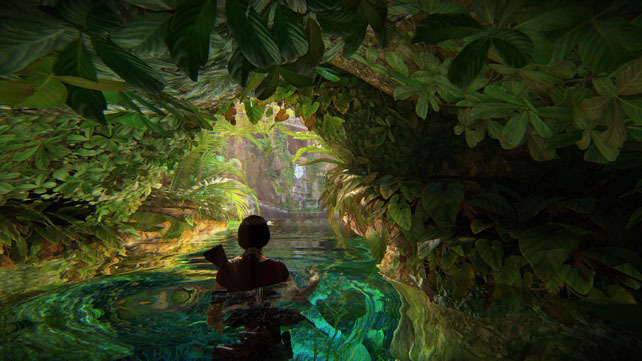 Whilst it’s fair to say this is Uncharted “lite” because The Lost Legacy gives you 6 – 8 hours of game, it’s also unfair when it’s more rewarding than most full price titles. 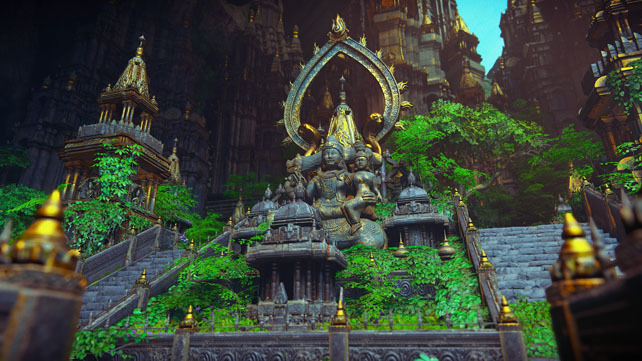 After a relatively linear, but still impressive, opening section things move towards the semi-open world of the Indian subcontinent where you’re searching for the legendary tusk of Ganesh in (you’ve probably guessed) a lost city… this time Halebidu in the Western Ghats region. Equipped with a jeep and a map it’s up to you which landmarks you tackle first, or whether you engage in optional treasure hunting and puzzle solving. 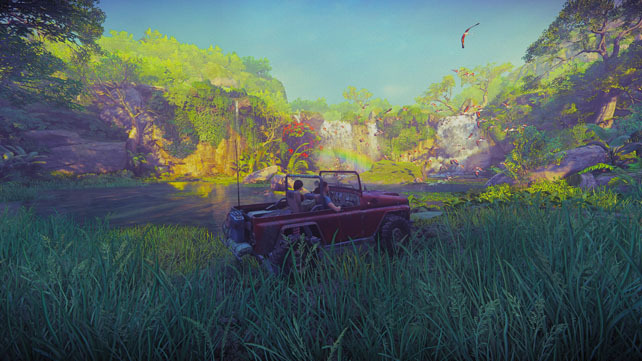 It feels more substantial than the driving section in Uncharted 4, and begs you to keep referring to the map that Chloe updates with each new discovery. Reading terrain and your relative position is essential for navigation as there’s no direction markers or GPS to guide you to your destination, and it’s rewarding as well as refreshing to feel like proper explorers. 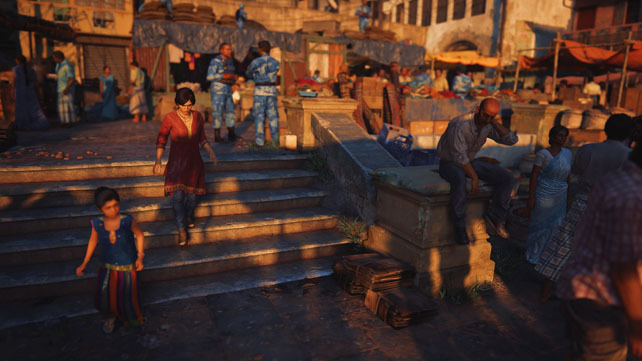 It’s not all free roam adventuring though, combat is a key part of the series and whilst it’s present in The Lost Legacy it feels more subdued, especially in the open areas. 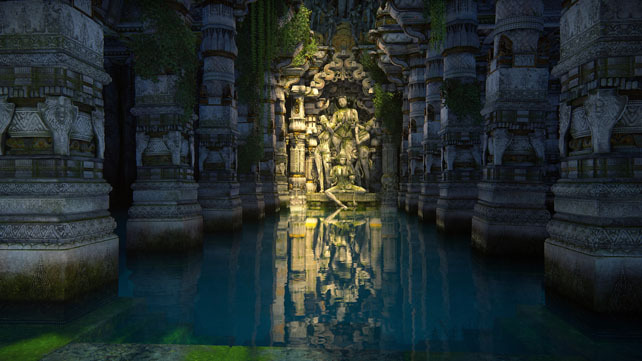 Stumbling on some ruins with patrolling guards gives you the choice of being stealthy or going loud and the mechanics are there to support either of your choices. It takes a different approach to weapons than before with special ones being available from locked containers scattered throughout the region, but standard arms are always available from the soldiers you despatch. Hand to hand is also a viable way of taking them down, and pulling off moves with Nadine is pretty satisfying. Should you want it there’s a target locking option available that means you can’t miss, especially when coupled with the target marking, but it tends to fixate on the wrong things at the wrong time so it might be better left alone. Graphically it’s so hard to find anything wrong, and it even caused a pang of regret as I was resizing the images to drop into this review. They deserve to be showcased in their full 4K glory, and photo mode will let you tinker to your heart’s content to get that perfect shot. Everything is so rich, so vibrant and so fantastically well detailed that you’re sucked into the world you’re exploring. Attention to detail is everything here to sell you the illusion – mud clings to Chloe when she slips down a surface, leaves and grass part and spring back as you move through them, even hairs cling to skin in the humid air. Right now you’ll be hard pushed to get anything that looks as good as this, and that runs at a rock solid framerate too giving that fluid experience you wish every game had. It’s perfect then. It really is. The shorter story doesn’t outstay its welcome but still delivers a lot with it, and there’s more to do and see than you might expect. With a flawless presentation and showcasing the skills that have arguably put them as the premier game studio in the world, Naughty Dog have delivered a game that you cannot afford to miss out on. If the question had been put out there on whether the series could survive without Nathan Drake then it’s categorically been answered. Uncharted: The Lost Legacy is out now exclusively on PS4 for £25 or under. The Bad: Switch auto-aim off!